The news just continues getting worse for Chad Johnson. Days after being arrested for domestic battery against his wife Evelyn Lozada – and being released by the Miami Dolphins – the man formerly known as OchoCinco has lost an endorsement deal. 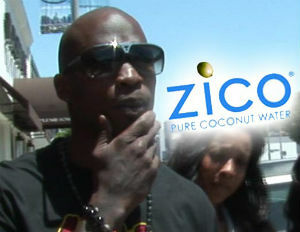 ZICO Coconut Water released a statement earlier today revealing their divorce from the former Dolphins wide receiver.